Bottlenose Dolphin (Tursiops truncatus) porpoising in a tour boat’s wake in New Zealand’s Milford Sound. Photographed January 27, 2006 with a Canon EOS-5D camera and 300mm f/2.8 lens. Exposure 1/500 second at f/2.8. This entry was posted on Friday, January 27th, 2006 at 8:32 am. 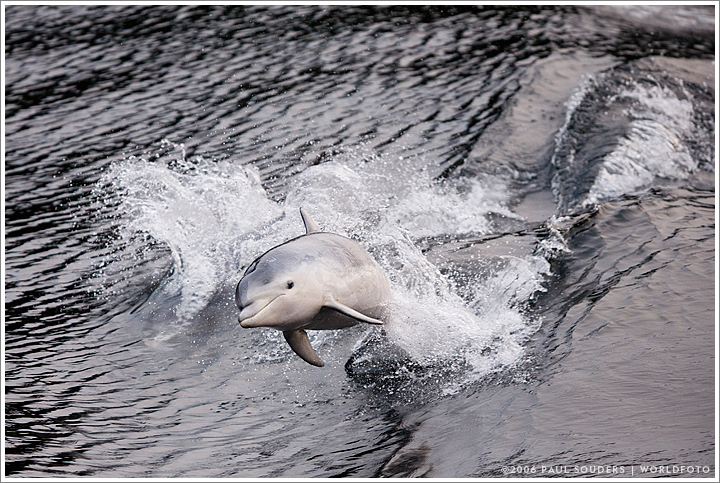 It is filed under On the Road and tagged with Action, Dolphins, New Zealand, Oceania, Wildlife. You can follow any responses to this entry through the RSS 2.0 feed.